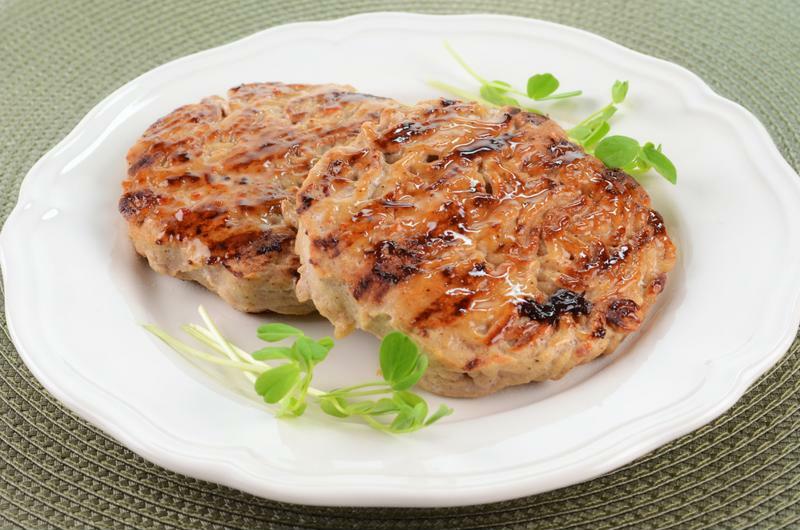 Turkey burgers make for an easy and delicious dinner that can be a more nutritious alternative to regular hamburgers, due to their leaner meat. Just cook some turkey burger patties on the Oster® DuraCeramic™ Infusion Series 2-in-1 Panini Maker and Grill, add some tasty toppings and dig in. This Oster® grill comes infused with extra-virgin olive oil so that you never have to add oil while cooking, saving you extra calories and time. Put a Mediterranean flavor twist on standard turkey burgers with mozzarella cheese and Italian veggies. It's a recipe for deliciousness in every bite! Place the ground turkey, salt, pepper, oregano, basil and garlic powder in a large bowl. Mix together, then form into 3-4 patties. Heat the Oster® DuraCeramic™ Infusion Series 2-in-1 Panini Maker and Grill, and once the light turns green, add the patties. Grill on medium-high heat until cooked through. Place cooked burgers on buns, then top with a thick slice of mozzarella cheese, tomato slices, artichoke hearts and roasted red pepper slices. Secure top buns and enjoy. 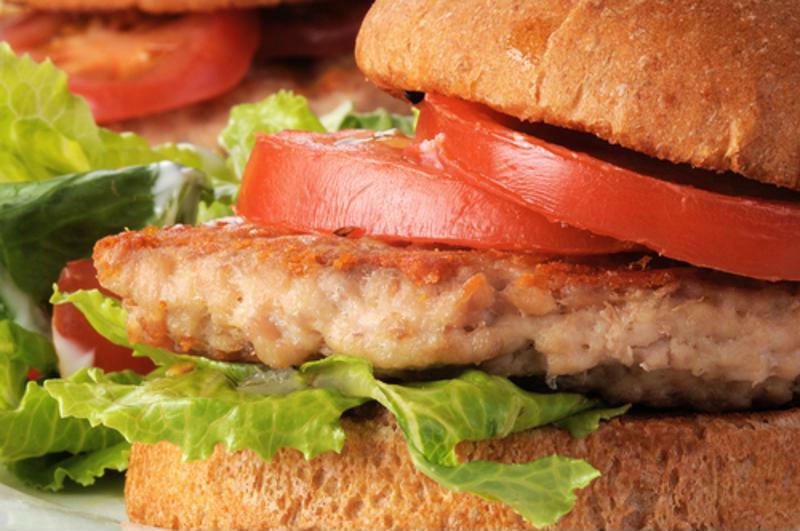 Turkey burgers can be a leaner alternative to beef hamburgers, due to their leaner meat. Grilled pineapple and a sweet teriyaki glaze take your basic turkey burger to tasty new heights. Place the ground turkey, onion powder, salt and black pepper in a large bowl. Mix together, then form into 3-4 patties. In a separate bowl, mix together the soy sauce, honey, rice vinegar, brown sugar and minced garlic. Set aside. Heat the Oster® DuraCeramic™ Infusion Series 2-in-1 Panini Maker and Grill, and once the light turns green, add the pineapple rings. Grill until lightly browned on each side and set aside. Add the patties to the grill and heat until cooked through. Place cooked burgers on buns, then brush with the teriyaki glaze. Top with the grilled pineapple rings, 1 tablespoon scallions and a slice of cheese. Secure top buns and enjoy. Add some Greek flavor to your turkey burgers with a bright homemade tzatziki sauce and feta cheese. Place the chopped cucumber, garlic, dill, yogurt and salt in large bowl. Mix together until combined. In a separate bowl, stir together the ground turkey, black pepper and garlic powder and then form into 3-4 patties. Heat the Oster® DuraCeramic™ Infusion Series 2-in-1 Panini Maker and Grill, and once the light turns green, add the patties and grill until cooked through. Place burgers on buns and top with 2 tablespoons of the tzatziki, 1 tablespoon of the feta cheese and lettuce leaves. Secure top buns and enjoy. With the Oster® DuraCeramic™ Infusion Series 2-in-1 Panini Maker and Grill, you don't need to add oil while cooking, saving you time and calories. Easy barbecue-style turkey burgers topped with cheddar cheese, red onion, tomatoes and pickles will be a hit any night of the week. Place the ground turkey, salt, pepper and parsley in a large bowl. Mix together and form into patties. Heat the Oster® DuraCeramic™ Infusion Series 2-in-1 Panini Maker and Grill, and once the light turns green, add the patties and grill until cooked through. Place burgers on buns and top with cheddar cheese slices, barbecue sauce, red onion slices, tomato slices and pickles. Secure top buns and enjoy. Bring your turkey burger game to the next level by incorporating flavorful Southwestern spices into the patties. Add some sliced avocado and Monterey Jack cheese and you've got yourself a new favorite turkey burger. Place the ground turkey, chipotle chile powder, cumin, garlic powder, salt, black pepper and cayenne in a large bowl. Mix together and form into patties. Heat the Oster® DuraCeramic™ Infusion Series 2-in-1 Panini Maker and Grill, and once the light turns green, add the patties and grill until cooked through. Place on buns and top with Monterey Jack cheese and avocado slices. Secure top buns and enjoy.